An Army Captain is suing President Barack Obama, arguing that the war against Islamic State is illegal because it has not been authorized by Congress. “Under the 1973 War Powers Resolution, when the President introduces United States armed forces into hostilities… he must either get approval from Congress within sixty day to continue the operation, in the form of a declaration of war… [the] President did not get Congress’s approval for his war against ISIS in Iraq or Syria… the war is therefore illegal,” said Captain Nathan Michael Smith, a military intelligence officer, in court documents filed in the US District Court for the District of Columbia on Tuesday. Captain Smith, 28, was commissioned in 2010 and deployed to Afghanistan for eight months in 2012. He is from a three-generation family of military officers and has been deployed in Kuwait with the Combined Joint Task Force Operation Inherent Resolve, which is the campaign against the Islamic State (IS, formerly ISIS/ISIL), since last fall. “I joined the military in 2010 because I believe the US military is a force for good in the world… [like] everyone, I was taken aback when I saw ISIS sweep through Syria and Iraq, seizing city after city, town after town, with their beheadings and crucifixions, laying to waste all in their way. They are an army of butchers. Their savagery is sickening,” wrote Captain Smith in the court papers. “When President Obama ordered airstrikes in Iraq in August 2014, and in Syria… I was ready for action… we were all cheering every airstrike and every setback for ISIS… I was also noticing that people at home were torn about whether President Obama should be carrying out this war… I began to wonder, ‘Is this the Administration’s war, or is it America’s war?’ …My conscience bothered me,” he added. Obama administration officials, including Secretary of Defense Ash Carter, have repeatedly asserted that they have the legal authority to conduct the fight against Islamic State. The authority they are referring to was granted by Congress post-September 11, 2001, when it signed the Authorization for Use of Military Force (AUMF) authorizing then-President George W. Bush to wage war against those responsible for the September 11 attacks and the governments which harbored them. The 2002 AUMF authorized the war in Iraq. The Army Times reported that the Pentagon is operating under the broad permission “in order to prevent any future acts of international terrorism” against the United States, in its fight against IS. 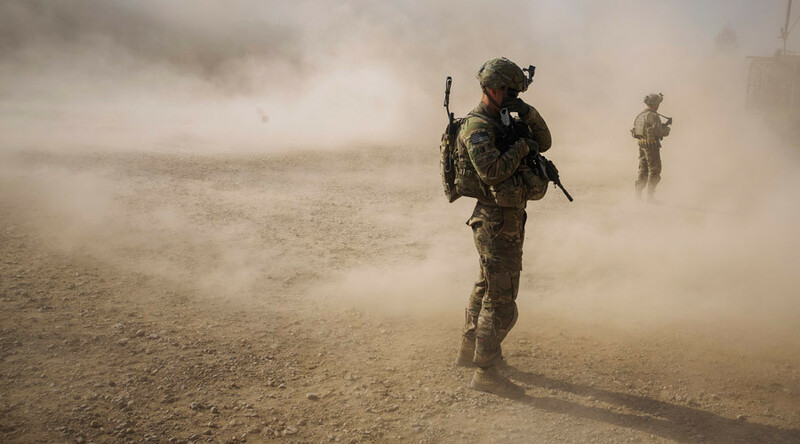 Those ad-hoc justifications have seen the campaign against Islamic State grow from airstrikes to deployed trainers to search-and-kill teams – and in late April to authorize 250 troops for ground operations in Syria.